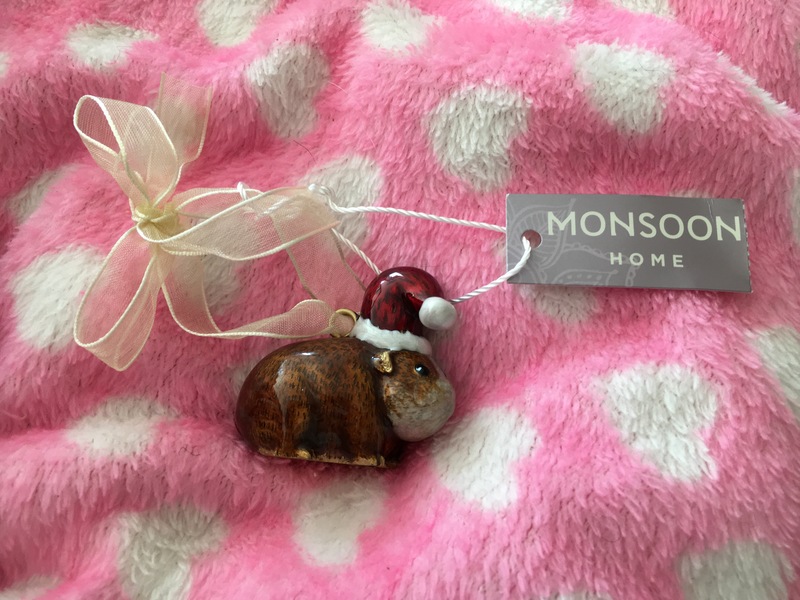 Today we are reviewing the Monsoon Guinea Pig Hanging Christmas Decoration. 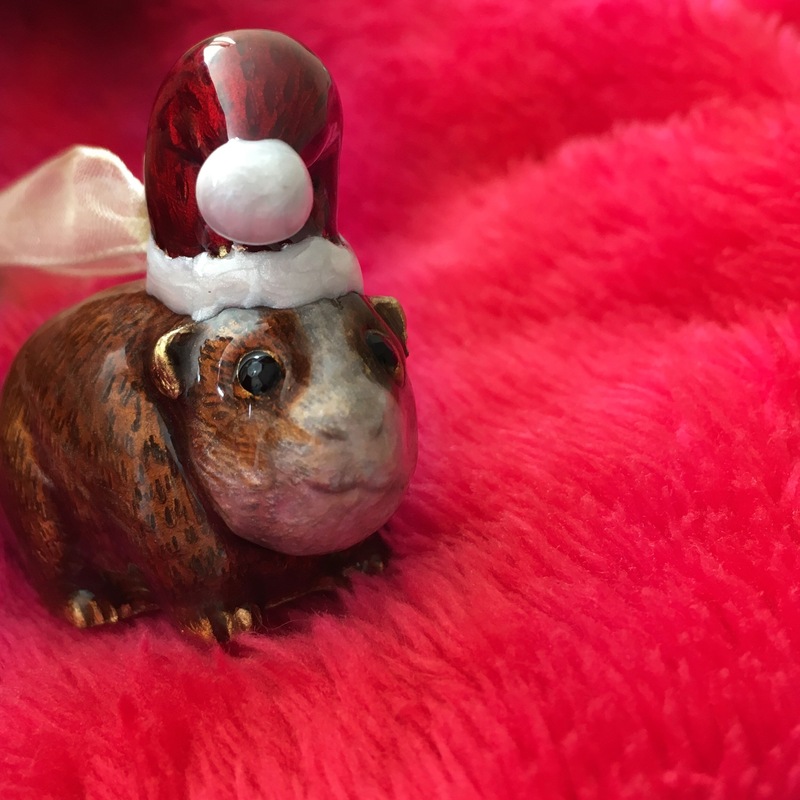 A festive Guinea Pig shaped Christmas decoration. Painted in shimmery enamel with shiny ‘jewel’ eyes. Hang it from your Christmas tree. Or anywhere else that makes you happy. I think it would look great tied to a bag. 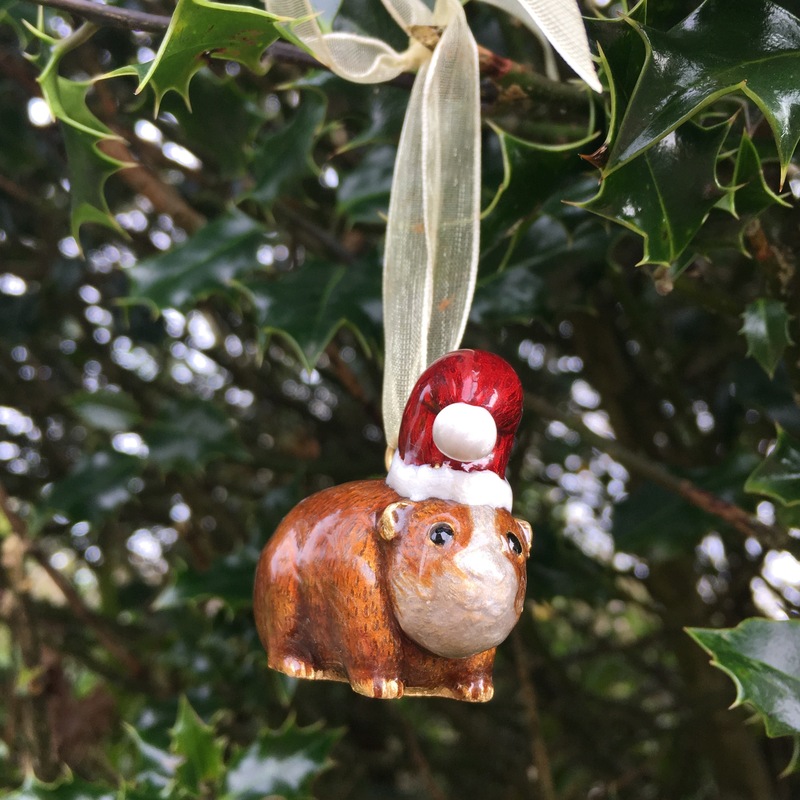 The Monsoon Guinea Pig Christmas Decoration is perfect for anybody who feels their Christmas tree needs more Guinea Pigs. With a good size and weight the Monsoon Guinea Pig Christmas Decoration hangs nicely from any branch. At £7 the Monsoon Guinea Pig Decoration would make a lovely stocking filler for a Guinea Pig lover of any age. Very cute and very festive.